Finding the right food for your fur babies can be pretty overwhelming, especially when there's so many different brands offering similar ingredients. I know when we first got our dog Max last April, I went with the brand that we had used with our previous dog, but just like people, each dog is different and what may work for one dog, may not necessarily work for another. Over the last couple of months, we have switched our dog, Max, to the Petcurean GO! Dog Food. I've never seen a dog so happy to come in the house to eat breakfast and dinner. When eating the GO! Dog Food, for the first time, Max would run in the house and eat dinner as if he was getting a treat, which made us feel so happy to see how much he enjoyed the food. Loaded with nutrient-packed dog food that includes chicken, lamb, turkey, salmon, duck, and trout; plus fruits, veggies, herbs, and berries, GO!, puts more life into the everyday dog. I have to say I completely agree. Max is only a little over a year old, but I have already noticed how much happier and alert he is from eating healthier dog food. GO! has zero growth hormones, by-products, or artificial preservatives. GO! is definitely worth a try if you're looking for food that allows your dog to stay healthy and strong. For more information about GO! 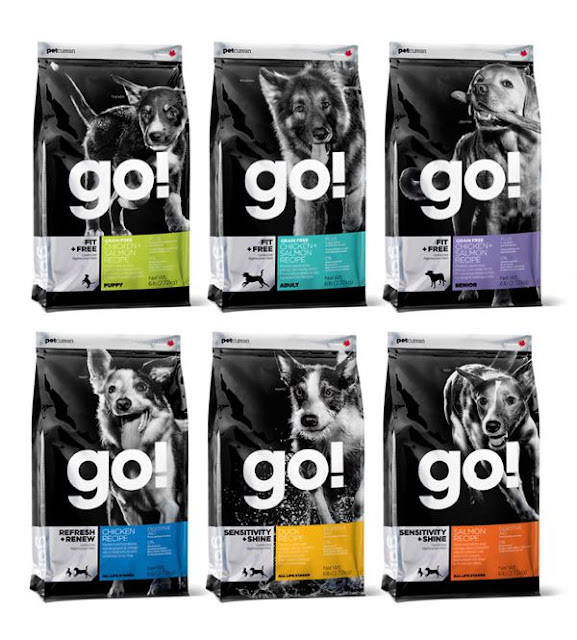 Natural Dog food, be sure to head over to www.petcurean.com. Disclosure: I am part of the Petcurean Blogger Advocate Program and I receive special perks as part of my affiliation with this group. The opinions on this blog are my own.